For the past 30 years Raman spectroscopy has been widely used for numerous chemical research applications. 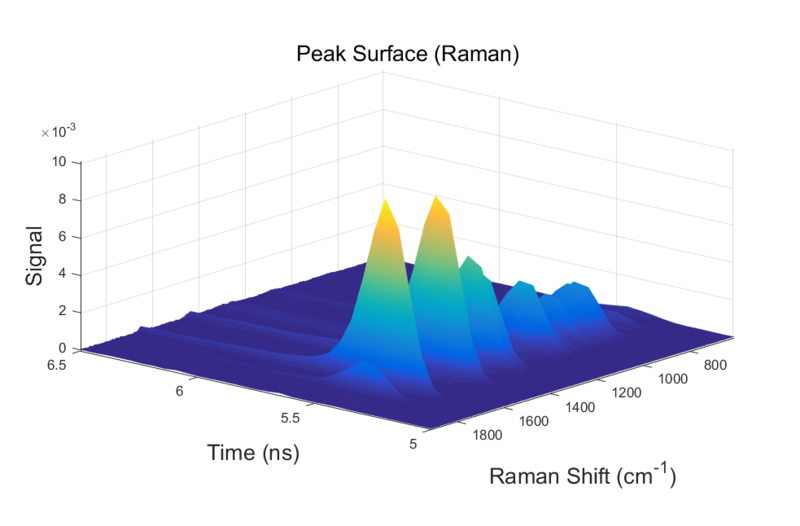 Now, the new Timegated® Raman technology broadens the application range of Raman to many new life science, geoscience and other applications where fluorescence or thermal interference has hampered successful Raman analyses. Fluorescence is an enemy? Don’t worry, time is on Your side! Timegated® Raman technology offers several advantages over conventional Raman spectrometers and opens up enormous potential for the use of this new technology in different application areas. Timegate Instruments’ patented breakthrough innovation is an affordable electrical gating solution using pulsed picosecond range lasers and new CMOS-SPAD (Single Photon Avalanche Diode) array detectors. 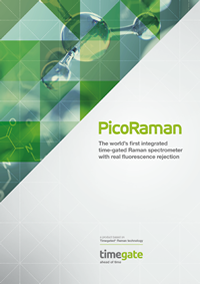 The picosecond range laser excitation source and a time-gated single photon counting array detector create a totally new type of spectrometer which is able to acquire Raman spectra with real fluorescence suppression. The system rejects the fluorescence interference (which has a longer average delay) while capturing the instantaneous Raman scattering signal. It also enables the acquisition of time-resolved fluorescence spectra by sequentially sampling the emission pulses at different temporal positions. This approach simultaneously opens two windows for material characterization and provides valuable new information in several different application fields. Time-resolved emission spectrum of an olive oil measured with a Timegated® device. 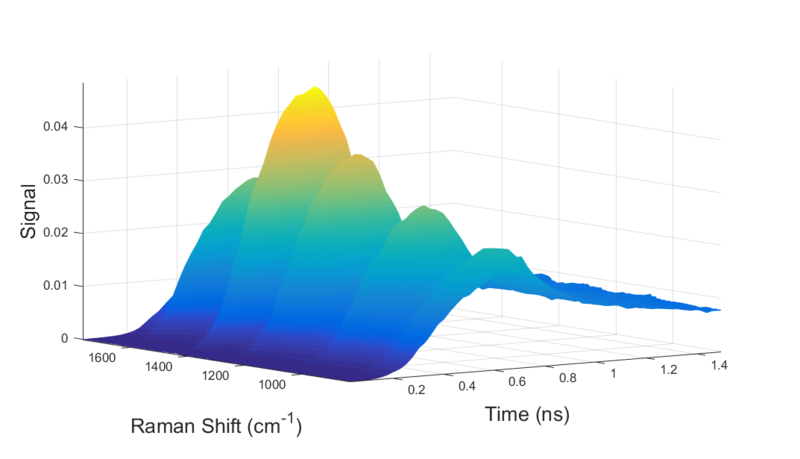 The temporally short and spectrally multi-peaked Raman signal is clearly seen over the temporally and spectrally broad photoluminescence spectrum. In this figure, the origin of the time axis has no fundamental physical significance (the values are just the settings of the electronic delay generator). The Achilles’ heel of conventional Raman technology is photoluminescence (including fluorescence and phosphorescence) interference. Photoluminescence is a competing phenomenon with Raman scattering and it can overlap or “swamp” Raman signals making the identification and quantification of materials impossible. 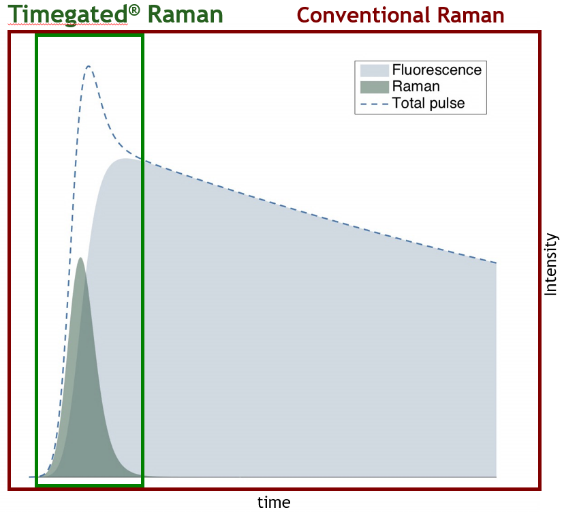 With the new Timegated® technology, we can now achieve real fluorescence suppression and redefine the ways Raman spectroscopy is exploited. Time-resolved total emission spectrum produced by a 532 nm pulsed excitation laser. This spectrum is the sum of the Raman and photoluminescence emission. Time-resolved background i.e. fluorescence surface contains fluorescence decay information and no Raman signals. Note that the temporally long “tail” of emission occurring well after the excitation. 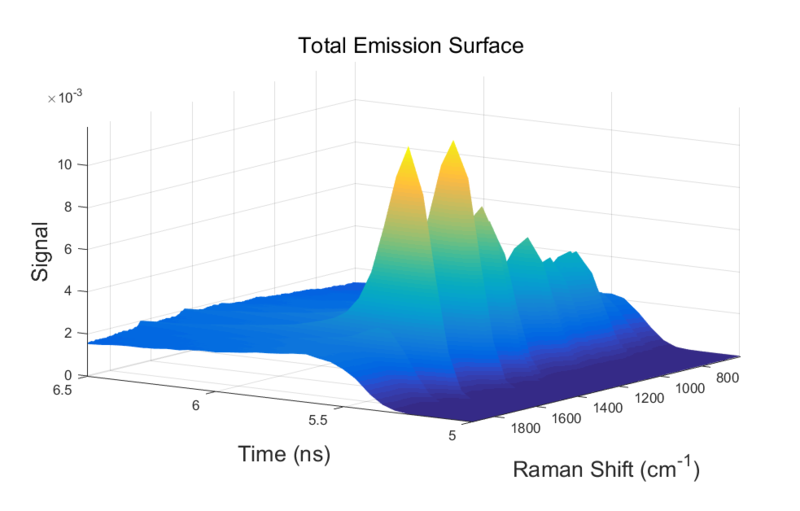 The 2D Raman spectrum is obtained by subtracting this fluorescence contribution from the overall signal. 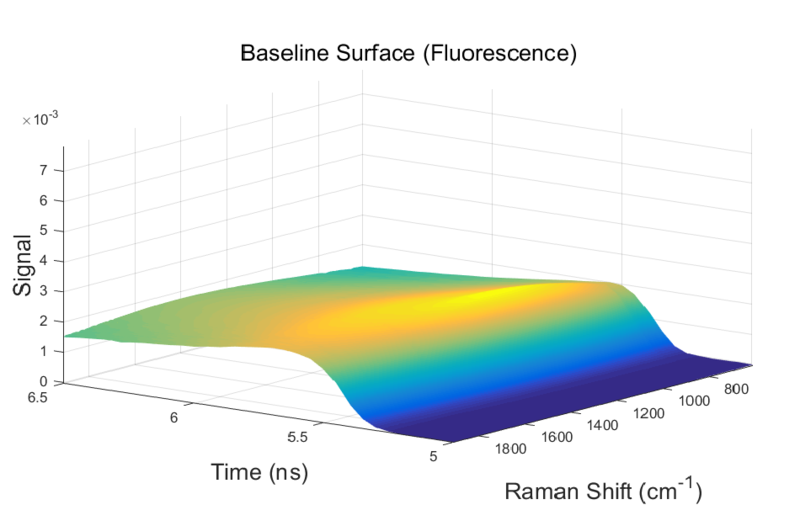 Fluorescence suppression is based on only collecting data from a time range containing a significant amount of Raman information while containing a minimum amount of the interfering background intensity. 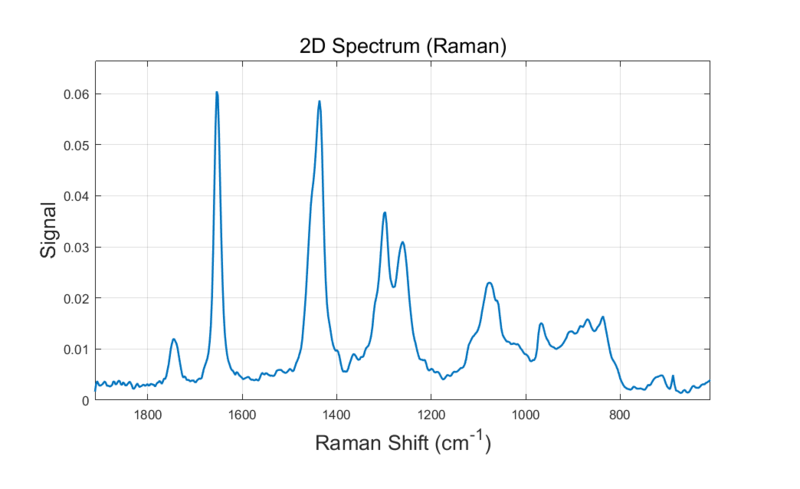 Time-resolved Raman spectrum without the background or baseline surface contains Raman signals without the photoluminescence interference. This spectrum is obtained when the baseline surface is subtracted from the total surface. Visit our Resource Bank to learn more about our products and applications! 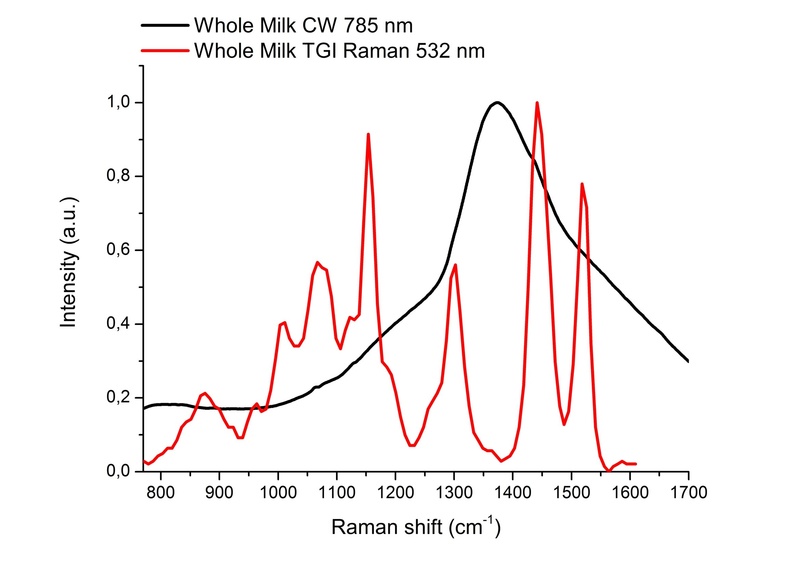 Most of the photoluminescence interference (including fluorescence and phosphorescence) can be suppressed by collecting data from a time range containing a significant amount of Raman intensity while containing a minimal amount of photoluminescence intensity. The collected data can be summed up and presented as a 2D plot which contains a minimal amount of background interference. Fluorescent samples have distinct spectral profiles. 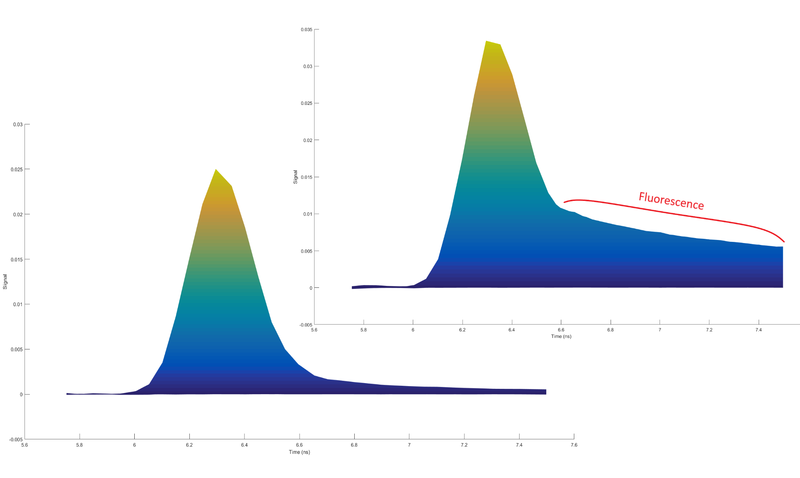 The difference can be observed quite easily when looking at the intensity vs time figures of samples with and without significant amounts of fluorescence emission. The long tapering emission “tail” is caused by photoluminescence emission which has a long lifetime compared to Raman scattering. What is happening? Is there something new going on? Check our news page to see novelties and what is going on!